In the Senior School, the Duke of Edinburgh’s Award scheme (D of E) is introduced to all pupils in S3 (Year 9). The award combines four elements: a physical activity, a skill, volunteering and a group expedition. There is such a wide variety of options to complete the first three, this encourages each pupil to develop their own personal initiative and independence. 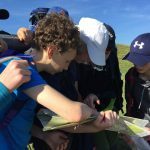 The expedition section requires significant training and supervision, so Birkdale teachers provide this in after school sessions for all S3 boys (Y9) once a week from February half term onwards. 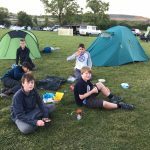 We run a practice camp in mid-May and the Bronze Award qualifying expedition in late June, which is opted into and successfully completed by 90% or more of S3 every year. Other aspects of the award are completed over the next two years, with the support and encouragement of both staff and parents. 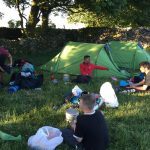 In S4 (Year 10), all pupils take part in a residential to Pensarn in Snowdonia, and during this a Silver level practice expedition takes place, building on the skills already acquired during S3. Some pupils choose to complete Silver level, but many pupils opt to move straight to Gold, with staff support for either preference. 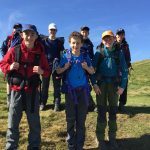 The Gold expedition is a challenging but rewarding four-day, three-night walk through some of the country’s most beautiful and imposing surroundings, in the NE of the Lake District, which takes place after the Upper Sixth (Y13) students have completed their final exams. In the Lower Sixth (Y12) participants undertake a shorter, three-day ‘practice’ expedition. Both ventures are remotely supervised by a team of Birkdale teachers, who have many years of experience in leading such expeditions. Training for these begins early in the Lower Sixth with a practice walk in the Peak District, where those involved can begin to hone navigation and key skills; route-planning and preparation work takes place in several after-school sessions in March and April, ready for the Practice expedition at the end of the summer term. Once this has been completed, and after a much-needed break, work for the Qualifier begins in earnest. 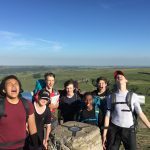 Of course, the expedition is only one aspect of the Gold D of E experience, and pupils are well supported by the school, in conjunction with the Sheffield D of E office, as they work through the other sections of the award. Some examples of adventures that have fulfilled the criteria for this section are: participation in the school’s annual visit to Nepal (Residential section), learning to drive (Skills section), participating in the school’s link programme to Tinsley Meadows junior school as a Wednesday afternoon games alternative (Volunteering section), and trampolining classes through Ponds Forge (Physical section). The D of E award at all levels is a hugely worthwhile endeavour, with the added bonus of demonstrating key skills to universities and potential employers. Make sure you don’t miss out!